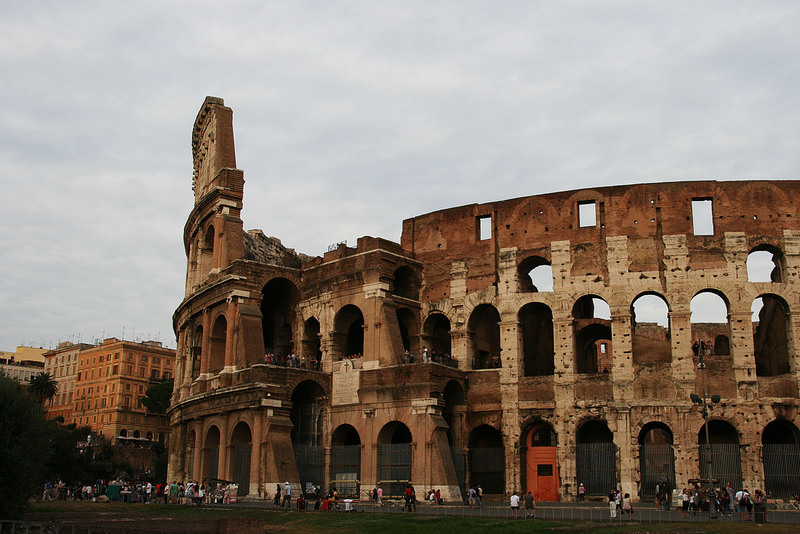 The Colosseum (or Colosseo in Italian) used to be called the Amphitheatrum Flavium, named after emperors Vespasian and Titus. 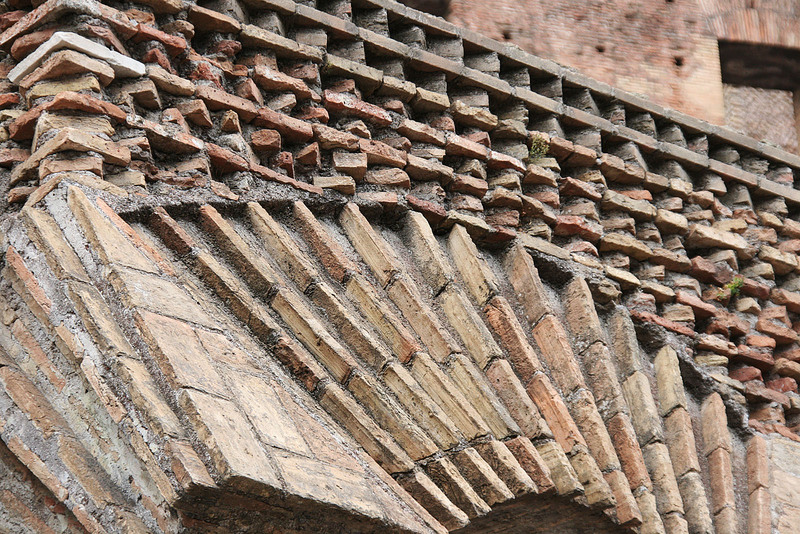 You can see this name on a plaque above one of the entrances. 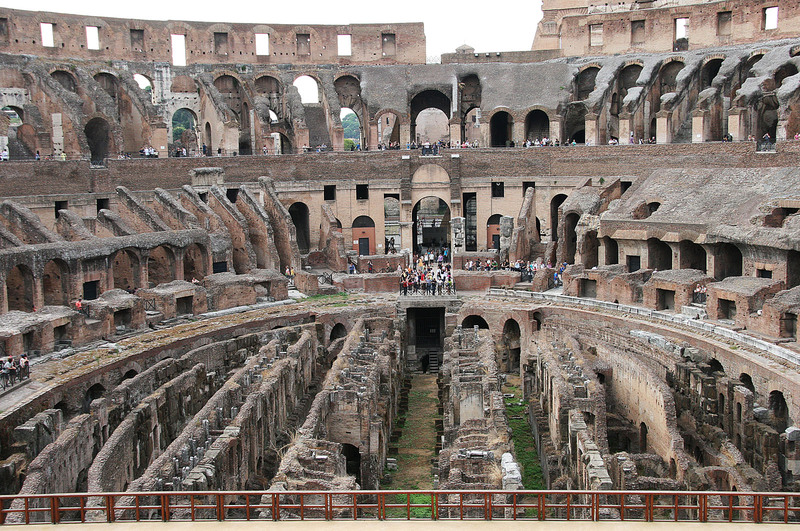 This was hubby’s “must-see” in Rome. 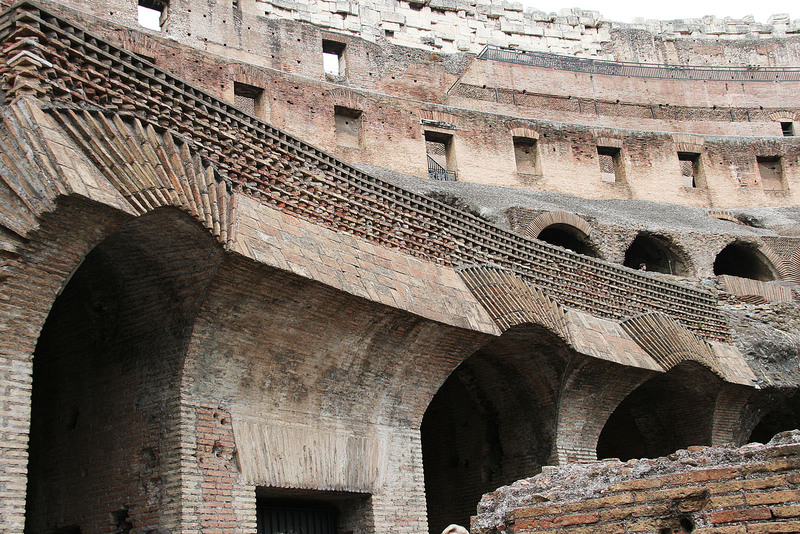 I had assumed many years ago that everyone knew about the Colosseum or at least at a minimum known that it was an arena in Rome ~ nope! Another life lesson right there – never assume anything. Someone I met at art school of all places thought it was the cinemas located in Mississauga. Seriously?! I didn’t think I could have been more shocked. Granted, I must have had 5 years on her and she was just out of high school, but really?! For those of you not familiar with the Greater Toronto Area, Mississauga is located just west of Toronto. 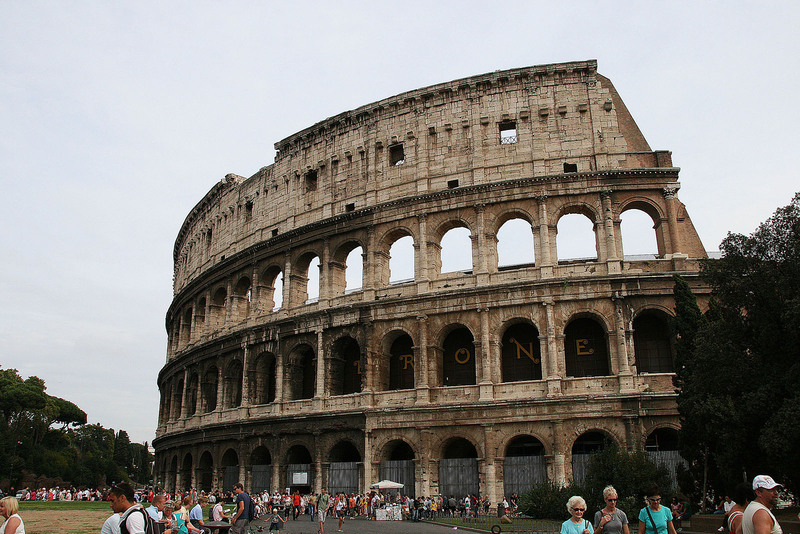 So in case you didn’t know or missed seeing the movie Gladiator, here’s a brief background on this magnificent structure. 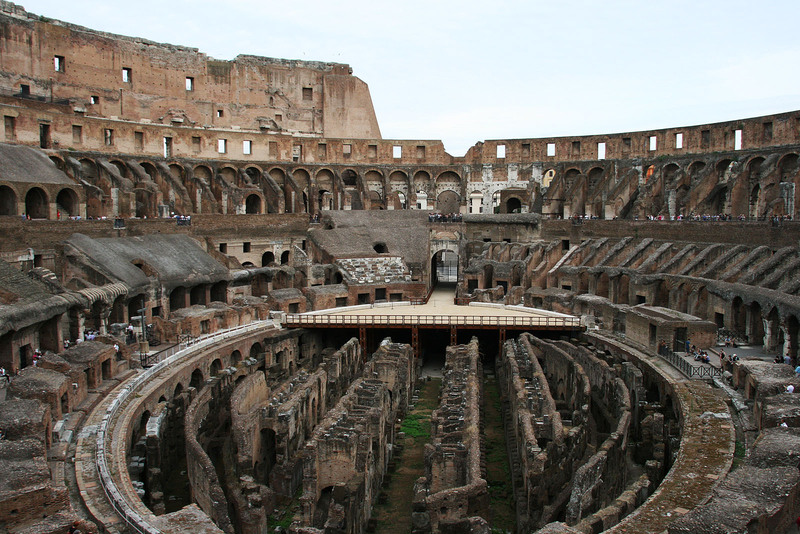 The Colosseum is actually not round but elliptical in shape and it was the largest ever built. 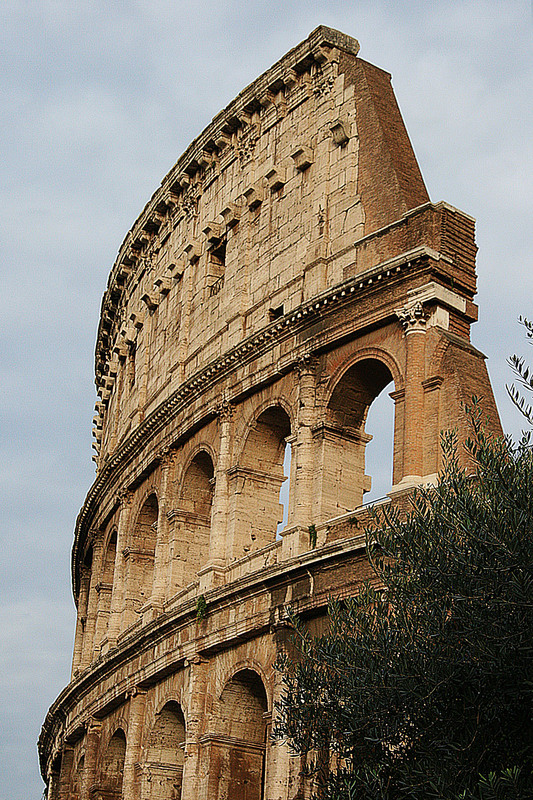 Construction began in 72 AD under emperor Vespasian and completed under Titus’ rule in 80 AD. 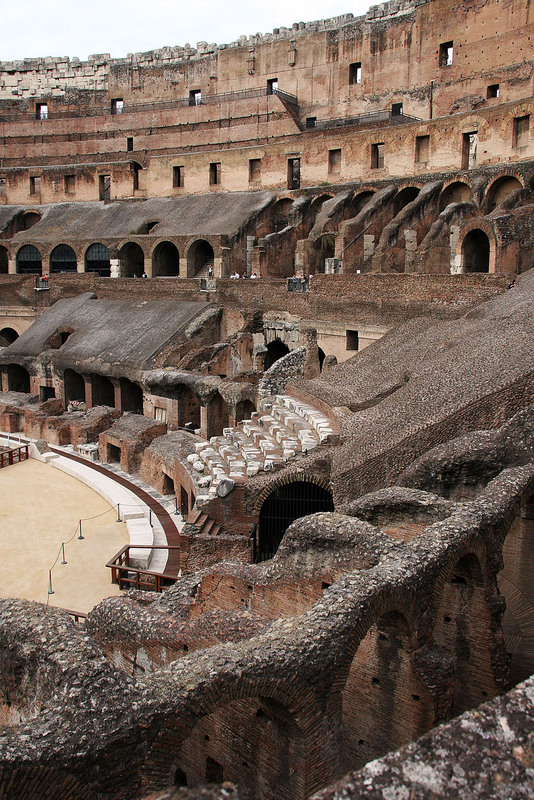 It has four storeys above ground and seats over 50,000. 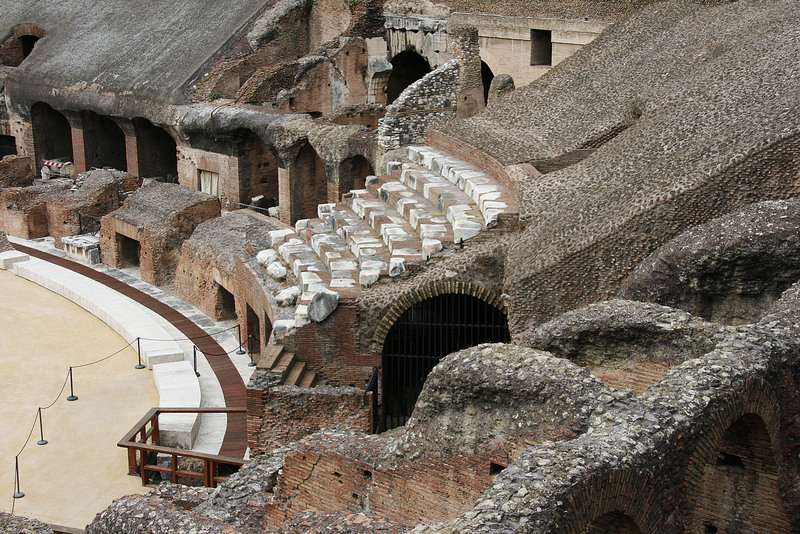 It was used for gladiator games and other public spectacles, including executions. 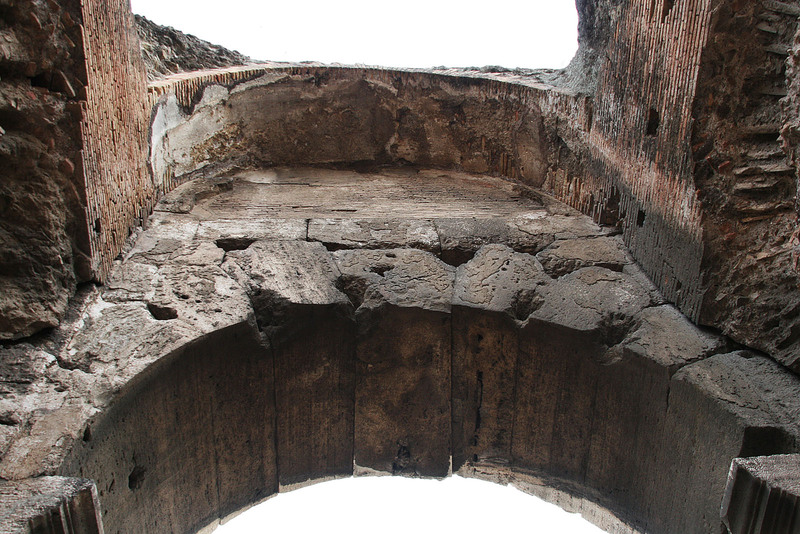 Today, it is the symbol of international campaign against capital punishment. 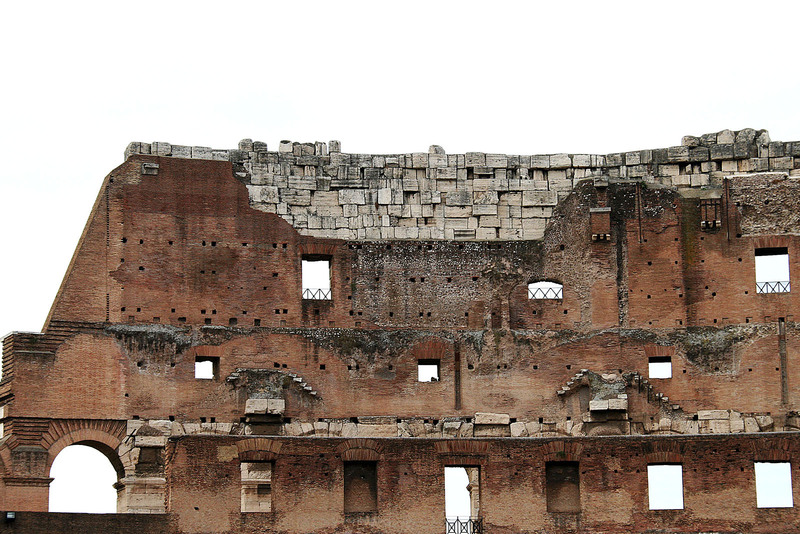 The colour of the lights that illuminate the Colosseum is changed from white to gold when death penalty is abolished or if a condemned person is pardoned any where in the world. 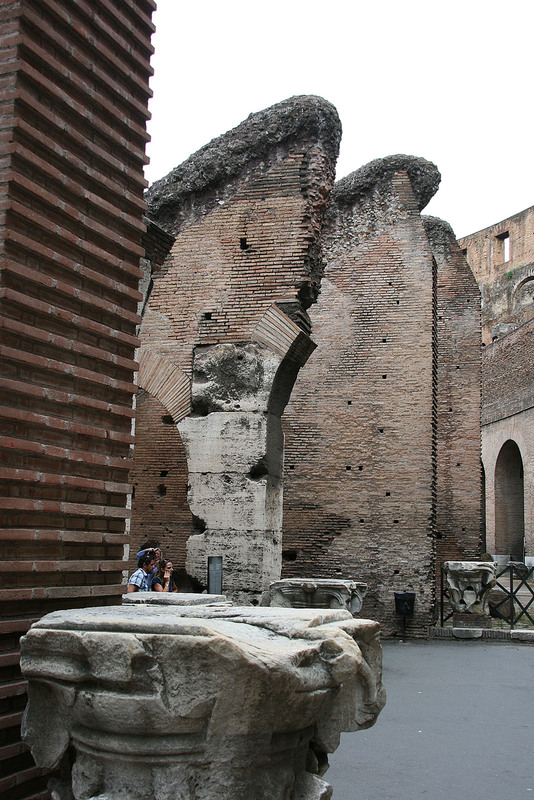 Tip: Skip the long line-up and buy your ticket at the entrance to the Forum or opt for the self-guided tour. 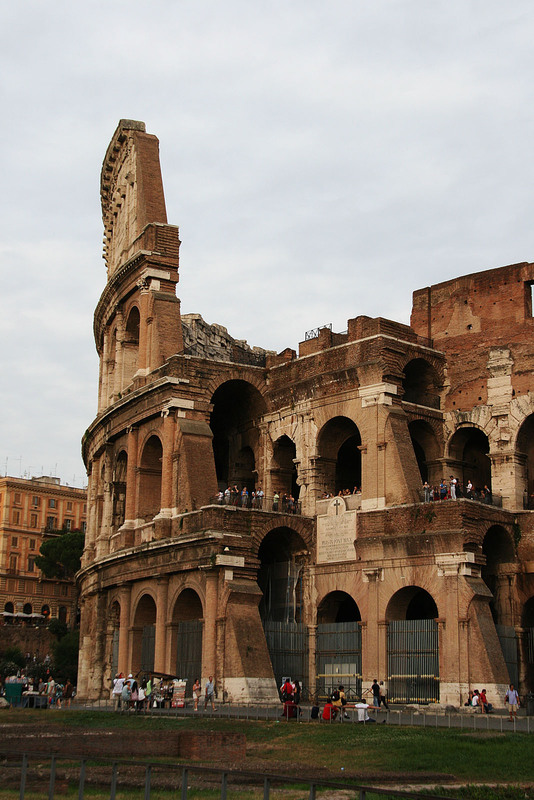 Your ticket to the Colosseum also gets you admission to the Forum. 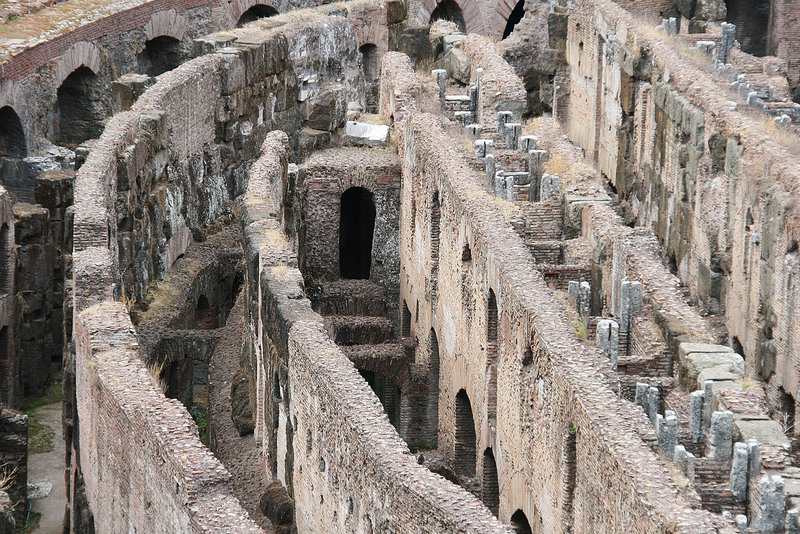 The hypogeum is the underground structure of the Colosseum. 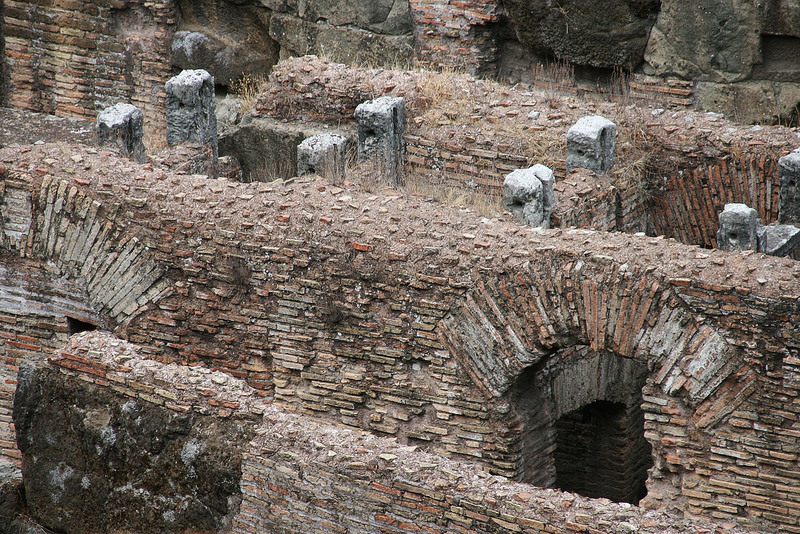 It had two levels with a network of tunnels which you can see in the photos below. 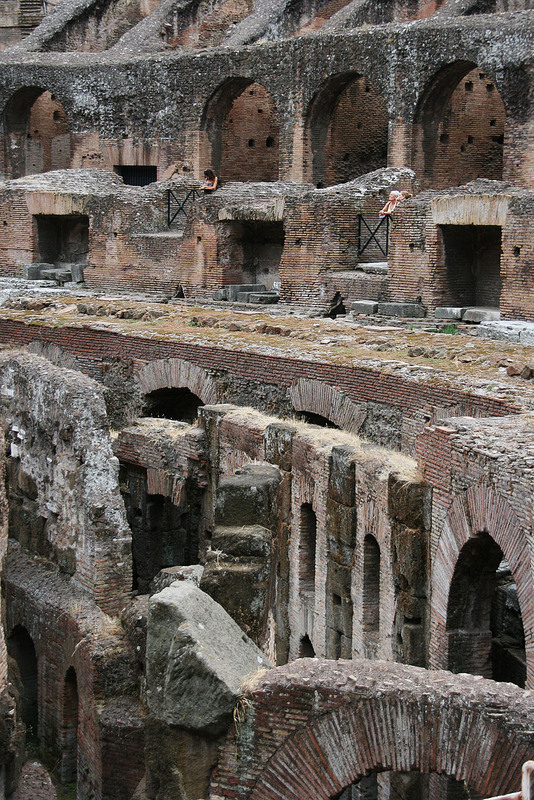 There used to be a floor concealing the hypogeum which held the gladiators and animals before the events. The seating was arranged in tiers. The higher the individual’s status, the better the seats. 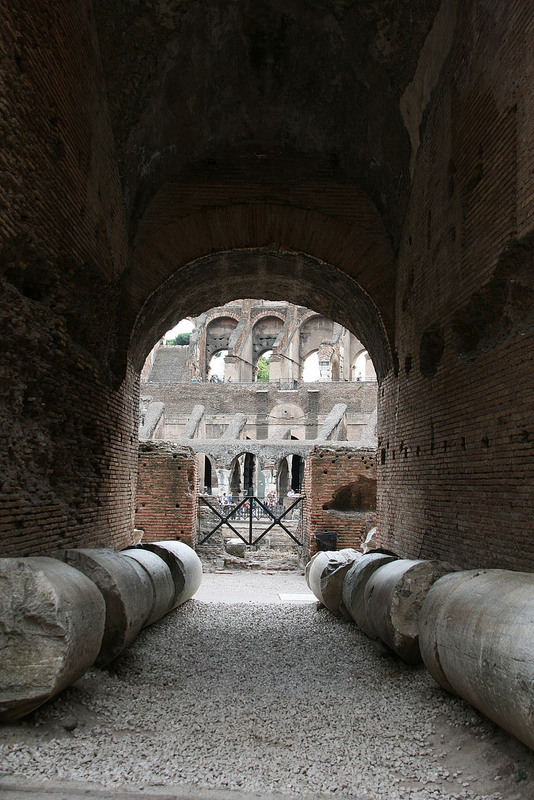 See those marble seats in the photo below? They must have been for some VIP guests, maybe senators. 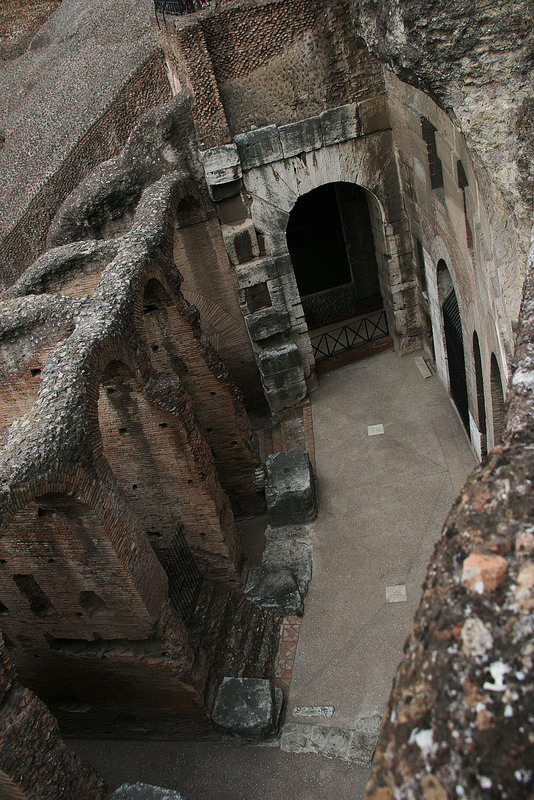 Before I sign off, there’s a terrific 360 panorama view of inside the Colosseum here! 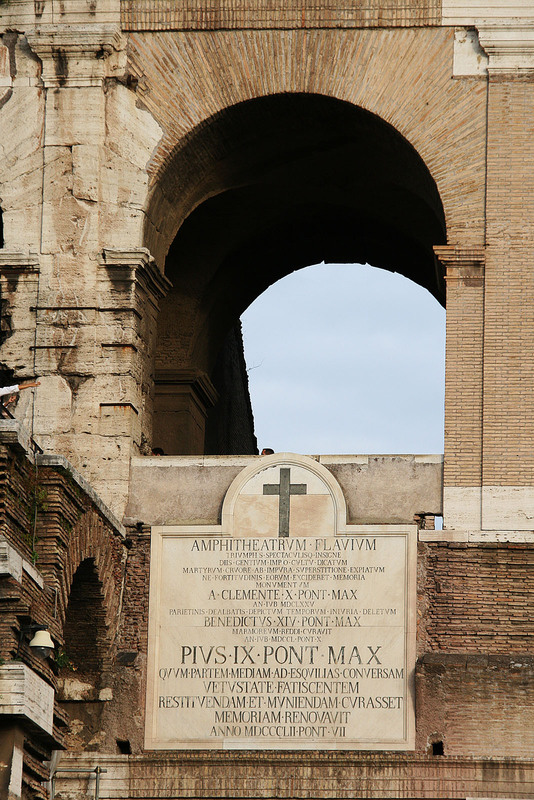 This entry was posted in Italy, Rome, Travel and tagged amphiteatrum flavium, architecture, colosseo, colosseum, flavium amphitheatre, gladiator, hypogeum, Italy, Rome, travel. Bookmark the permalink.